Our oldest vineyard is our 8-acre Ptarmigan Vineyard in Grand Junction, which part of the Grand Valley AVA. This vineyard supplies much of our Riesling, Merlot, and Cabernet Sauvignon. The original planting here was done in 1982 making them some of the oldest commercial vines in Colorado. Make sure you visit our newest tasting room at the farm that we call Ptarmigan Vineyards if you are visiting the Grand Junction/Palisade area. Additionally we have a 7-acre farm in Palisade on East Orchard Mesa, an area highly regarded, and arguably the best grape growing area in Colorado. We offer tours at our Stoney Mesa Winery. If we are able to, we can do on demand tours, but recommend making an appointment so we can ensure we are prepared to give you undivided attention so your touring experience is something you will enjoy. 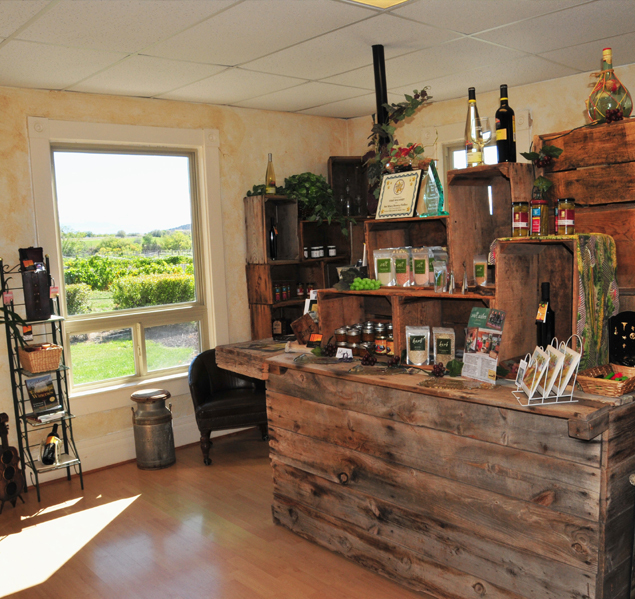 Stoney Mesa has a beautiful tasting room complete with all the necessary accessories and great gift ideas. 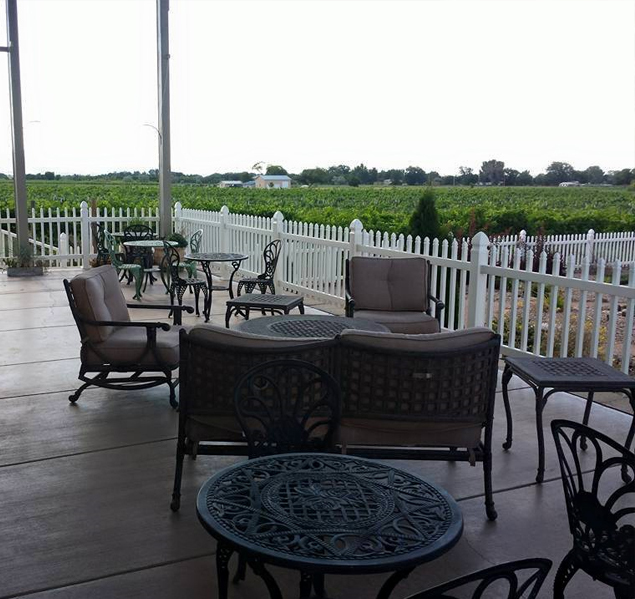 We have a beautiful covered patio so you can sit outside on a gorgeous sunny day and enjoy a glass of wine while looking out over the rows and rows of vineyards. Ptarmigan also boasts a beautiful tasting room with inside seating as well as a beautiful patio garden overlooking the vineyards. Address: 221 31 3/10 Rd.